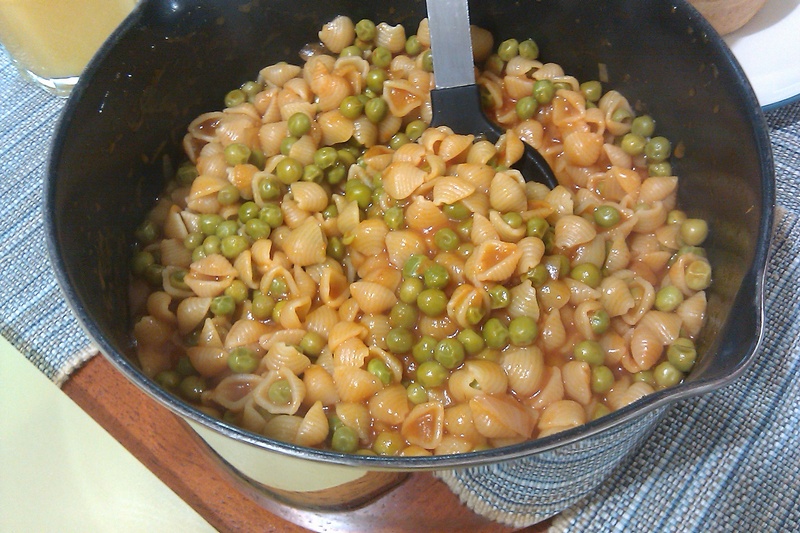 One of my husband’s favorite foods, while growing up, was Peas and Shells. It is a quick simple recipe, that is easy to make. My mother-in-law had given us a homemade book of her recipes and I decided to make this one. Enjoy! Saute onions with olive oil until onions are translucent. Pour sauce back into the pot and add peas and shells. Cook until shells are cooked. This recipe is very versatile. You can add different vegetables and spices to make it your own. It makes a very hearty, comfort food. It’s such a simple recipe, but tastes amazing. You did such a great job with it!